Innovative technology and the right people make us Zelis. We’re wired to save health plans $31MM on average in the first year. Zelis is a market-leading healthcare technology company. At Zelis, we don’t just talk about savings, we make them happen. It’s our promise to you. Just set up a meeting, and you’ll be on your way. 85% of the time, we find what others miss. Zelis isn’t like other companies. We dig and hunt and constantly look for ways to save money. By integrating healthcare cost management and payments solutions we make it possible for payers and providers to reduce waste and minimize member and payer abrasion. And, we do it all by delivering industry-leading service and performance. No disruption, no replacement, no kidding. We partner with all major adjudication systems so working with us is easy. Just slot us into your stack. You don’t pay until you save. We’re Zelis about savings. So, we work harder than anyone. Better yet, it won’t cost you a dime until the savings start rolling in. Talk to us today and see how easy it can be. How is it possible? We specialize in the pre-payment world. At Zelis, we have a simple belief: claims should be paid right the first time. Our innovative technology begins pre-payment, delivering cost optimization with an array of products and services that start before the claim and drive savings through to payment resolution.To date, we have saved more than 500 payers more than $24 billion in healthcare spending. Why not find out what we can do for you? You don’t just get savings. You get untapped revenue. Use your savings to update legacy systems, buy new equipment, create training programs — even build your bonus pool. Set up a meeting today. Put yourself in the center of the action with concerts, sporting events, movies and TV in VR. * No purchase necessary. Oculus Promotion is only open to new qualified health plan prospects as defined by Zelis and is subject to all applicable federal, state, and local laws and regulations and is void where prohibited or restricted by law. 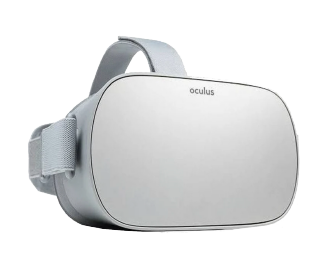 One Oculus per new prospect for initial meeting only. A Health Plan saw a significant increase in large dollar claims. They wanted to explore best practices to review these claims instead of the post-payment strategies that were currently in place. Zelis pioneered pre-payment Clinical Bill Review and Audit over 10 years ago. Our holistic process includes reviews from a clinical, financial, experimental, investigational, and billing and coding compliance perspectives. Through Zelis Clinical Bill Review & Audit, the Health Plan achieved savings of over $13,700,000 per year or $1.75 PMPM for their 650,000 members. A Health Plan partnered with Zelis to review non-par claim savings strategies. The goal was to maximize savings while maintaining member and provider satisfaction. The Zelis ClaimPass methodology. It uses an array of tools and technologies to help establish the true net cost of a non-par claim. These findings are then used in the re-pricing process which lead to a savings opportunity. Through ClaimPass, the Health Plan achieved savings on more than 98% of the dollars submitted to Zelis. This offered an average discount of 62%, saving more than $44,000,000 per year. member per month in savings. A regional health plan, with more than 155,000 members, wanted to redesign their Payment Integrity program. The goal? To save $5PMPM in additional annual savings. Zelis recommended the implementation of our comprehensive Payment Integrity suite of products in a post-adjudicated pre-payment status within the payer’s workflow. This included the implementation of a secondary claim editing software. One that was specifically built and designed to identify complex savings — the type often missed by licensed software that addresses professional and outpatient claim spend. To address the facility claim spend, we recommended the use of our Bill Review and Audit service. It complements the current audit program by lowering the dollar threshold to $35,000 from $100,000. It also offers a second review of claims audited by the payer by specialists in the field of the claim. We also recommended the use of our Out-of-Network Services — specifically our ClaimPass technology. being paid at billed charges (usually urgent/emergent) or priced to Usual and Customary. One year after implementation of the Zelis Payment Integrity Suite of products, the health plan has met and exceeded their goal — achieving $12.63 PMPM or $151.56 PMPY in additional savings. This comprehensive program reduced professional claim spend by 4%, reduced Facility claim spend by 13% and achieved a 62.2% average discount on Out-of-Network claims not priced by their wrap network on claims with Zelis savings. Regional Health Plan with 250k members sought a second pass post adjudication, pre-payment Claims Editing solution to deliver incremental, prospective savings and to help reduce their recovery efforts. Zelis Claims Editing incorporates robust technology which is customized to provider agreements, medical and payment policies and uses historical patient and provider data. Incremental annualized net savings of $8,735,520. Less than 1% of the recommended savings was reversed.